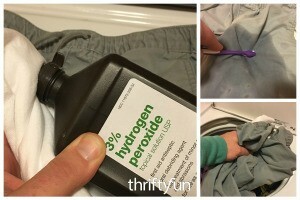 Peroxide is perfect for removing blood stains on clothing and other fabric items. 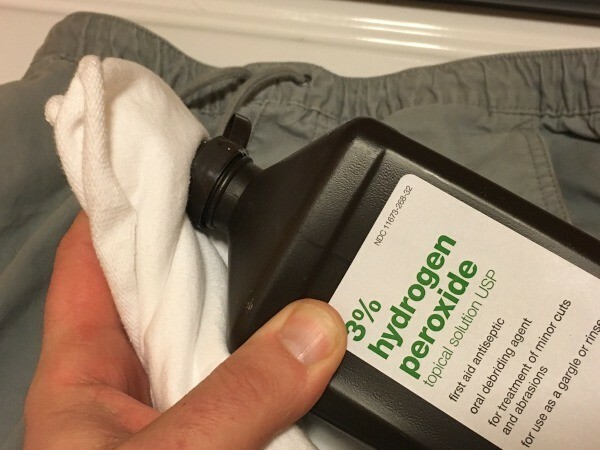 This is a guide about peroxide for removing blood stains. You can easily remove most blood stains from clothing using 3% hydrogen peroxide and a toothbrush. 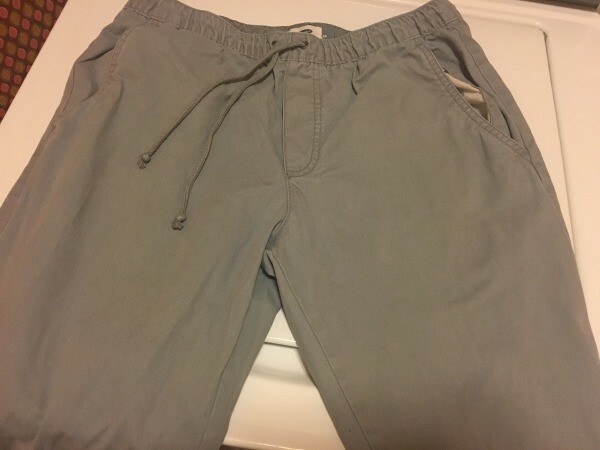 This particular blood stain was on a pair of gray cotton pants. 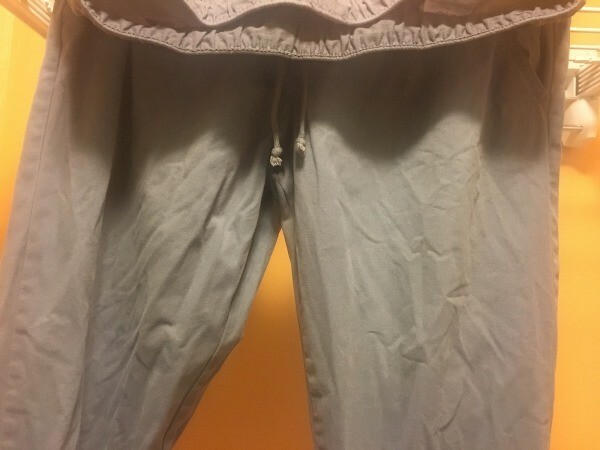 Put a towel inside of the pants to absorb the peroxide. 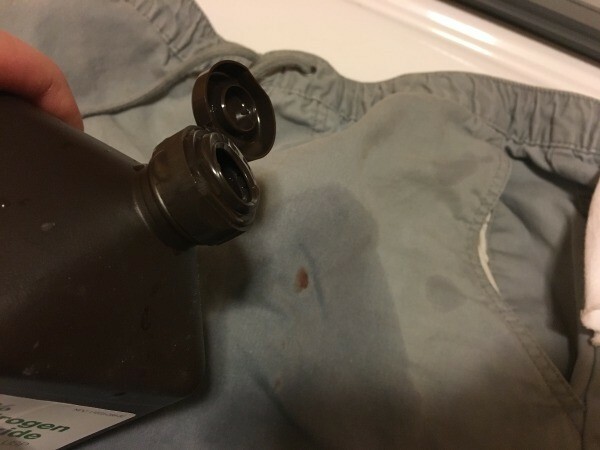 Pour peroxide onto a rag and blot or pour some directly on the stain. The stain should bubble and turn white where the blood is. Use a toothbrush to rub the peroxide into the blood stain. Repeat until the stain is removed. When you no longer see bubbles when applying peroxide to the location of the stain, the blood stain is removed. 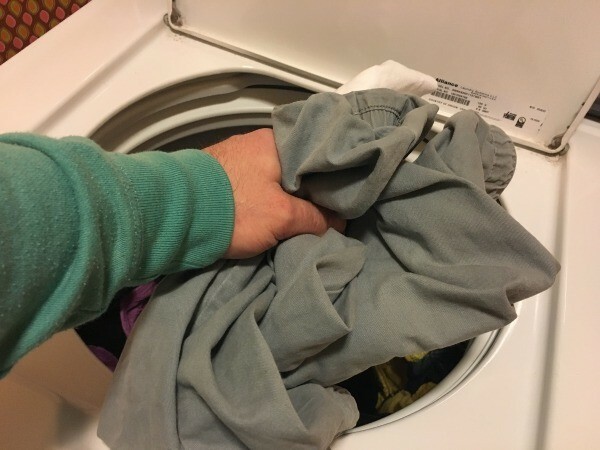 Wash the garment in cold water. 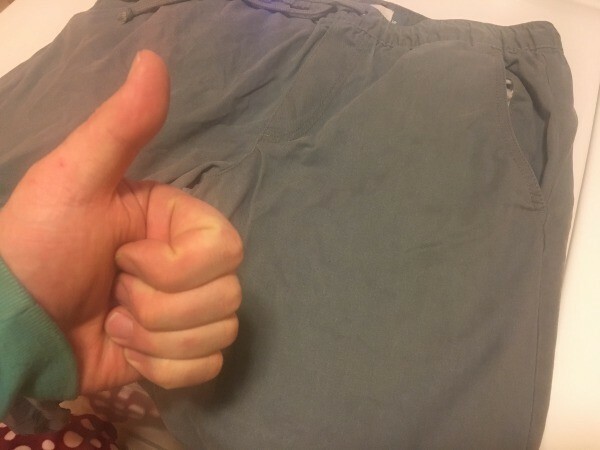 Hang dry instead of putting it the dryer. 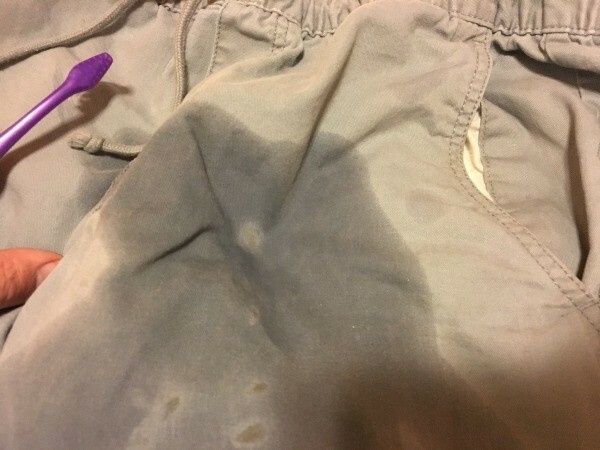 Once dry, check to make sure the stain is gone. If its not, repeat the steps above and wash again.